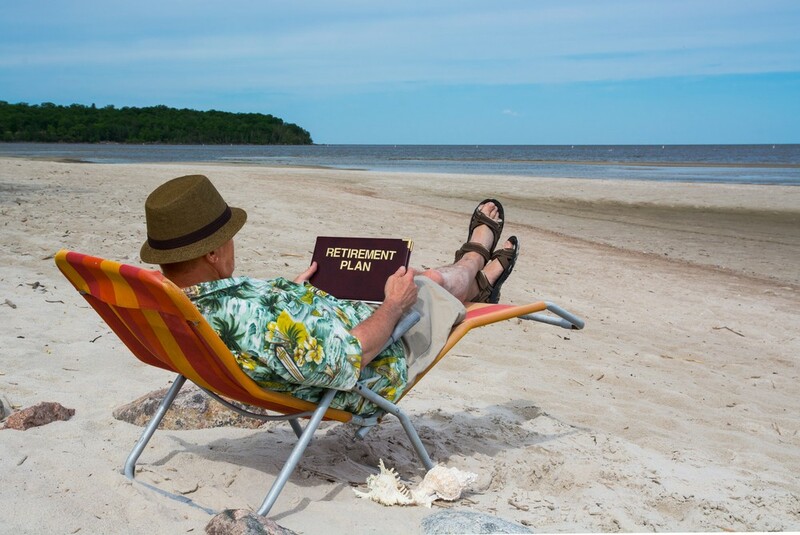 Retirement can seem like a very distant prospect when you are young. But planning a pension early can be the difference between frugal and flush in your old age. Of course, we are all entitled to a state pension. And in 2016, this will increase to a flat amount of around £155 a week for everyone. This is supposed to make things fairer for all savers, but many retirees get a shock when they discover that – at £8,060 a year – this is not enough to enjoy their twilight years comfortably. Throw into the mix the fact that the age at which you can claim is increasing and you might start to see the benefits of an additional savings pot to boost the coffers. Here we are going to take a look at a case study of a married couple with two children aged eight and 10. The wife is 38 and works as a teacher earning £30,000 a year. She is a member of the teacher’s final salary pension scheme. Her husband is 39 and works as a self-employed IT consultant earning £70,000 a year. He has no pension or any other benefits. The couple are concerned that, because the husband has no pension plan in place, they will struggle when they retire. The husband would like to receive an income of £35,000 a year in today’s value when he turns 65 excluding any state benefits. Based on an investment return of 5% this means he will need lifetime savings of approximately £700,000. Firstly this couple need to work out how much they can afford to set aside. They could easily have a comfortable lifestyle on the wife’s income plus £42,000 gross of the husbands income. And this would relieve a large chunk of the husband’s salary to invest. And are there any ways to boost that cash and make it go even further? Well, let’s do the maths. In order to put aside £700,000 before he retires, the husband needs to contribute all of his income above the high rate tax zone (£28,000 gross which is £22,400 net) into his pension. This sounds like a lot but by making this saving, he will actually get an impressive return of investment. Firstly, by paying in to his pension pot in this way, he will regain the child benefit that he automatically loses by having an income in excess of £60,000. You see, pension contributions are legitimate deductible expenses. By paying into a pension, he will reduce his take-home pay which means he can then claim £20.70 per week child benefit for his first child and £13.70 per week for his second. The total income over the year for both would work out at £1,788.80 – all money he would not be entitled to normally on his income of £70,000 a year. Secondly, he will get a tax break by saving. While he is contributing a net amount of £22,400 spread over 12 months, he would actually get £28,000 paid into his pension because it would receive £5,600 in tax relief at basic rate. He could also complete a tax return form to get a further tax rebate of £5,600. This means the actual cost of his personal pension contribution would be £16,800 a year. The total tax relief in this case would be 40%. All returns to your pension are tax-free i.e. you pay no capital gains tax or no income tax. When you come to retirement, you can also take 25% of any fund value tax free. The remaining 75% of your fund value can be accessed at any time. However, any withdrawals that you make will be subject to income tax at your highest marginal rate. When you die any residual pension will pass to your chosen beneficiaries free of tax, but only if you die before the age of 75. If you die after the age of 75, tax will be deducted depending on how your dependents choose to take the benefits from this pension. Saving for a pension is one of the best gifts you can give yourself. And, with the right advice, you can ensure that you can enjoy the present and plan for the future. If you would like any help working out how to plan your own retirement fund, give us a call today.